Anton Dvo?ák composed eleven operas. Only Rusalka remains in the core repertoire of opera companies, although the composer writes well for the human voice. The Collegiate Chorale did a concert performance of Dimitrij in 1984. Odyssey Opera in Boston staged it also as a concert in 2016. Now Leon Botstein, ever the supporter of the underdog, presents a full production of the work as part of Bard’s SummerScape Festival. An opportunity for the splendid opera voices we are developing in the United States is always welcome. These young singers suggest that the future performances of the form can be amply supplied with first rate talent. 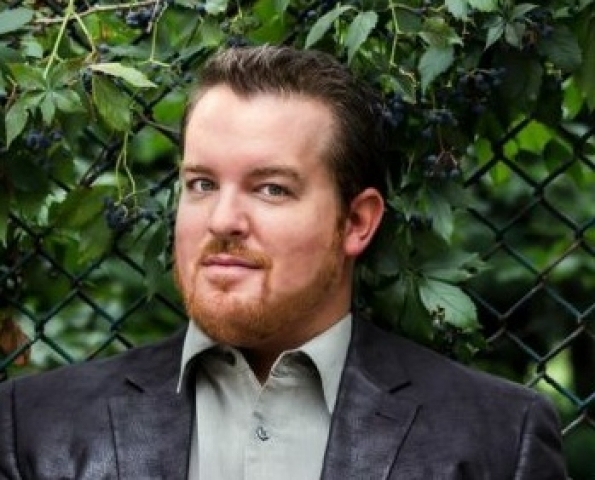 Singing the title role of Dimitrij, tenor Clay Hilley shows why he deserves to be on the stage of major opera companies. In the punishing role, which is murderously long and physically and emotionally trying, Hilley is extraordinary. He has a large voice, whose dynamics are in complete control. From impassioned whispers to great outcries of pain and joy, he thrills. His performances going forward include the Metropolitan, San Francisco and Dallas Operas. With that cutting heldentenor edge ready for action in the voice, and also a lyric line, Hilley is primed for the future. As Dimitrij he engaged in some of Dvo?ák’s loveliest melodies. Hilley is also the fortunate beneficiary of the librettist's decision to make the 'pretender' to the Tsardom unaware of his deception. As an infant his family decided to create this career course for him. An innocent, he is actually a sympathetic figure. As his wife Marina, Melissa Citro is a sizzling combination of Lady Macbeth, Princess Eboli and Amneris. 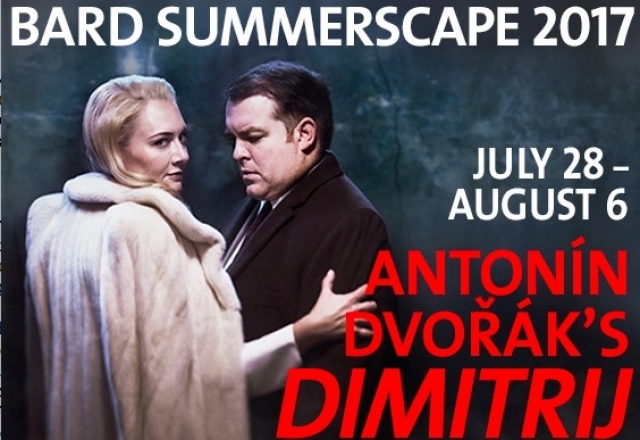 Olga Tolkmit not only has a wide-ranging soprano, but also a lovely acting range. In the role of Xenia, the daughter of the deceased Tsar, who fears for her life in the new ‘Polish’ regime, she moves with intrepid grace. Her voice captures both fear and a tender attraction to the new Tsar. As Dimitrij falls for her, the urgent need to stay away is beautifully articulated in Dvo?ák’s music. She dreams that death's right hand has touched her. Alas, Alas is a tormented cry. Nora Souruzian as Marfa, the mother who endorses and then denies the birth of the new Tsar, has a special sound which filled the Fisher Theater with both confidence and confusion when the role required. Among the other male roles, Levi Hernandez as Shuisky, protector of the Orthodox Russian flame, was slimy and articulate at once. He too has a large voice that pleases the ear. Peixin Chen as the Patriarch stands out in his dignified yet growling bass. One reason that this opera has had concert performances in the past may be that it does not play well as drama. Anne Bogart directing does her best to engage us, but often we find duets with the characters a stage apart. The chorus is important. The opposing forces of Poles and Russians are given the color of their nationality. Mazurkas for the Poles seem close to the composer’s heart. The chorus dances its familiar three step. The music, except for brief flashes, would not be attributed to Dvo?ák on listening alone. Although Leon Botstein, whose choices of opera have made possible new and more broadly heard productions of Richard Strauss' Die Liebe der Danae for instance, his case for Dimitrij as part of the grand opera repertoire is not made. One reason it may fail is that the hand of so many is left imprinted on revisions. Perhaps the composer had no feeling for the stage. Or perhaps because the music had a Russian flavor which overwhelms the subtle Slavic rhythms. The rigorous beat of men at war and patriarchs in procession are not familiar Dvo?ák devices. In a pre-concert lecture, Botstein discussed a composer’s sound print on his compositions, citing Richard Strauss at length. The list provided by the Performing Arts Library at Lincoln Center to accompany a performance of Dmiitri at the Dvo?ák Music Center in Prague in 1989, includes twelve revisions. Unfortunately the sound prints of so many revisers have created a sound which is conventionally martial in its marches and medieval in its orthodox church sections. The orchestra performed well under Botstein, but the material felt like an underline to the chorus and soloists. Yet the egalitarian themes which run through all of the composer's operas are particularly moving in the voice of Hilley. Dimitrij's stature as a tragic hero comes from his willingness to die when he discovers he was a peasant at birth. Under Botstein, listening to the young singers was a special treat.